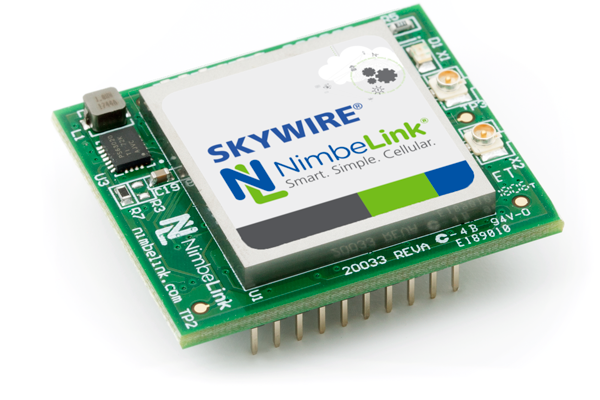 NimbeLink’s® patented end-device-certified Skywire® LTE CAT 4 embedded modem is available on both the Verizon and AT&T cellular networks and perfect for high-bandwidth applications. This modem offers the same ultra-small size and Skywire standard interface as other modems in the Skywire family. The CAT4 features a SIM card slot that will accommodate a SIM from either the Verizon or AT&T networks and features HSPA+ fallback. 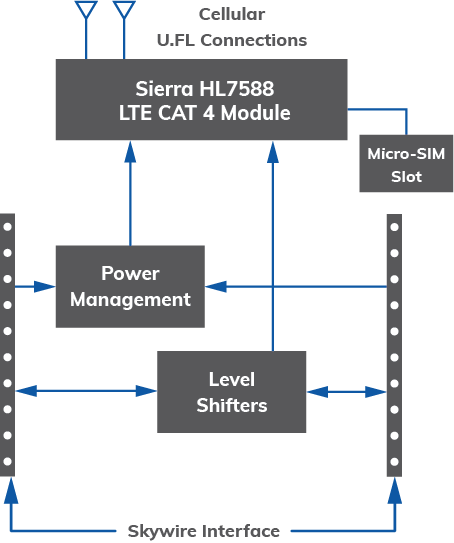 Like other modems in the Skywire family, our 4G LTE CAT 4 modem is compatible with a variety of NimbeLink development kits and microprocessor shields, allowing fast, easy integration of cellular connectivity into new or existing products. 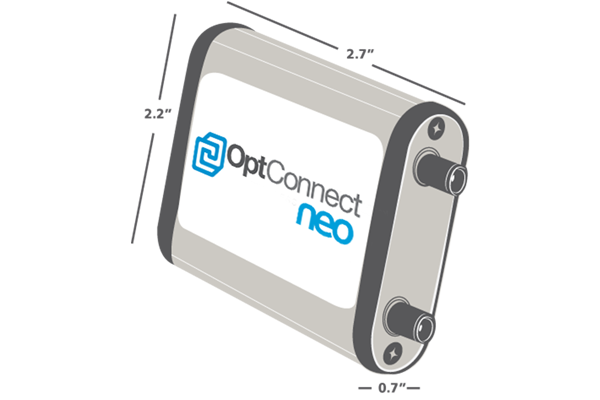 Its standard interface simplifies migration to other cellular technologies, ensuring long product life. In addition Skywire modems end-device certification eliminates the considerable cost, time and risk of the certification process, driving your products to market faster.